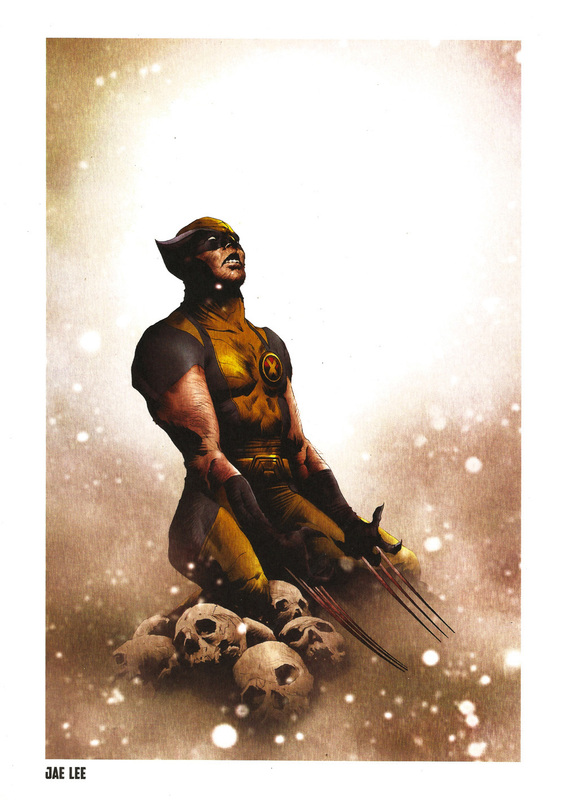 Wolverine Steel Gallery Portfolio (2014) | 'TAIN'T THE MEAT… IT'S THE HUMANITY! 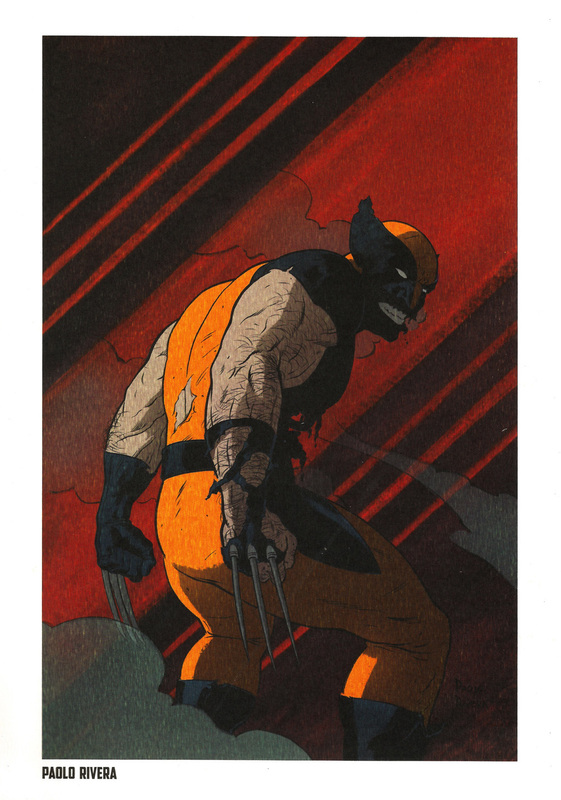 The Wolverine Steel Gallery Portfolio, released by Paris-based publisher Semic in 2014, contains ten full-colour plates featuring Marvel Comics’ hugely popular pint-sized mutant superhero, as illustrated by some of the industry’s biggest talents. 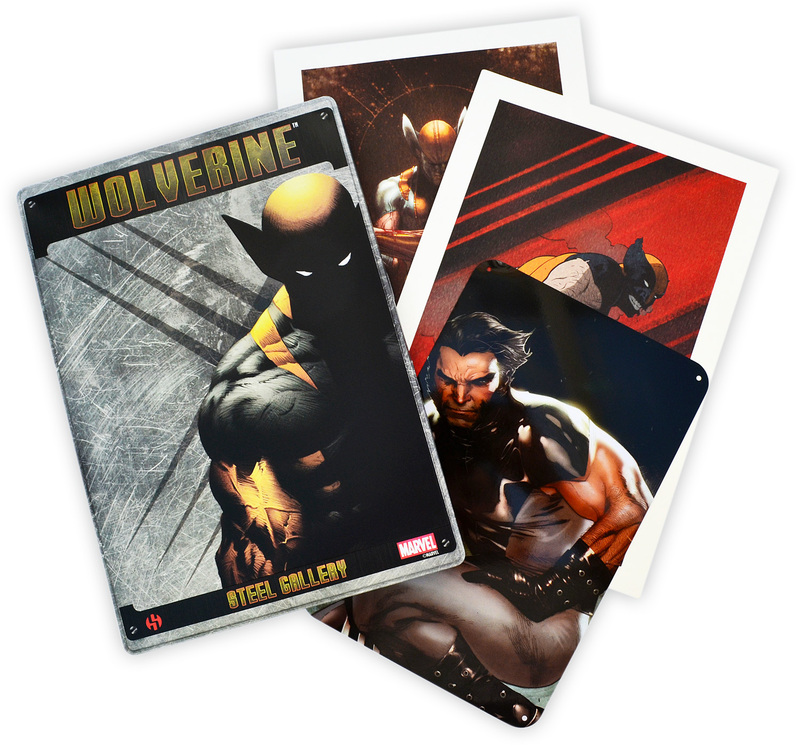 The Wolverine Steel Gallery Portfolio contains nine 210 x 297mm paper prints and one tin plate that measures a slightly smaller 170 x 260mm. 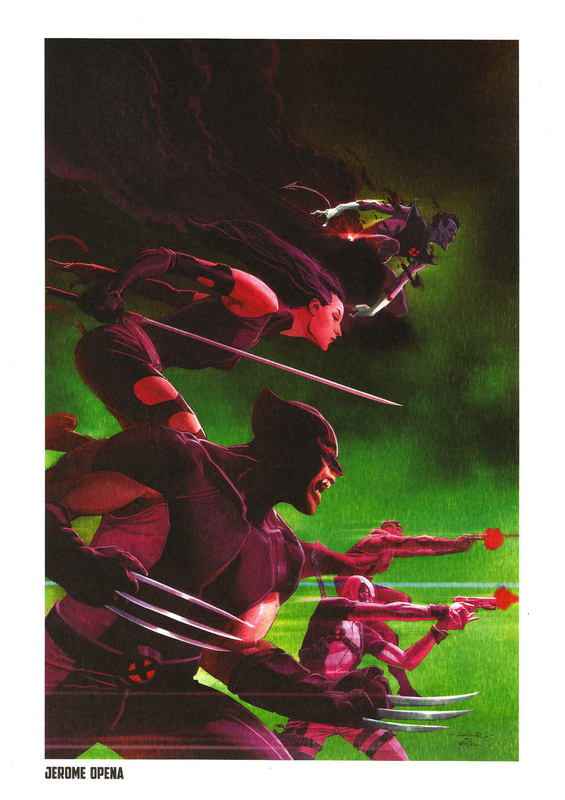 The collection is limited to 1,110 editions (this one is numbered #834) and ships in a sturdy tin box that features embossing around the edge of the cover image (the set also includes a small certificate of authenticity). 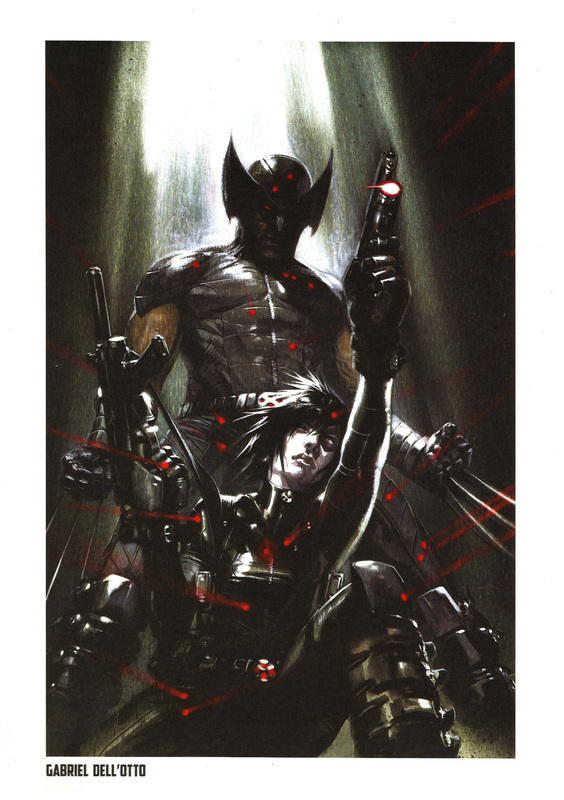 The collection reprints recent Marvel Comics’ covers featuring Wolverine by ten popular artists – Olivier Coipel, Jerome Opena, Simone Bianchi, Chris Bachalo, Jimmy Cheung, Paolo Rivera, Gabriel Dell’Otto, Esad Ribic, Jae Lee and Das Pastoras. The portfolio retails for €25 (around £18) and is available from various online outlets and directly from Semic. 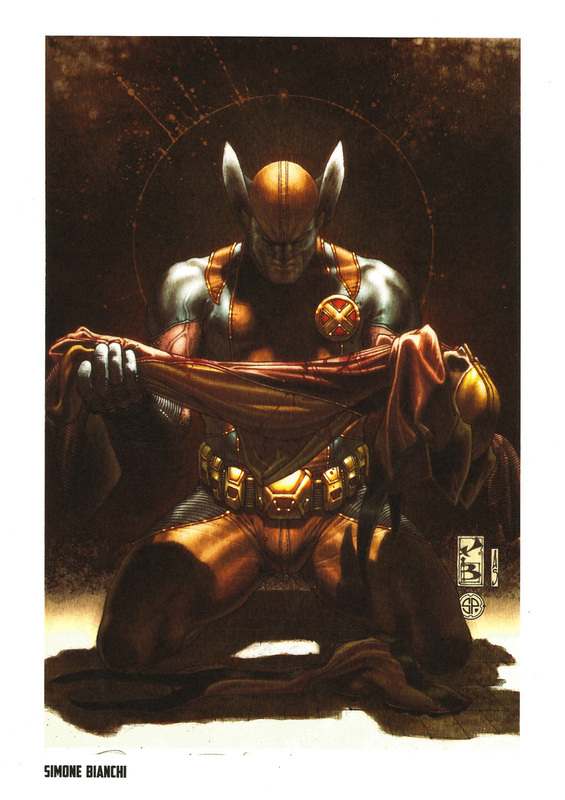 Semic have released five portfolios in this Steel Gallery series featuring The X-Men, Avengers, Spider-Man and Iron Man – click on the links for my reviews. 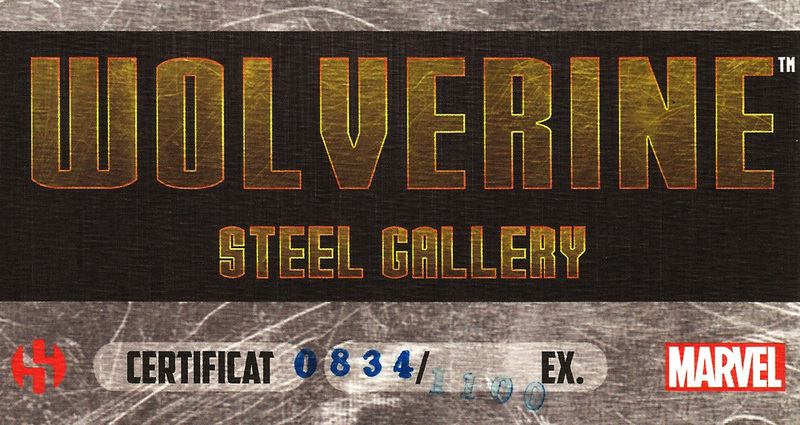 The Wolverine Steel Gallery Portfolio is the last in the collection… so how does it compare with the rest? 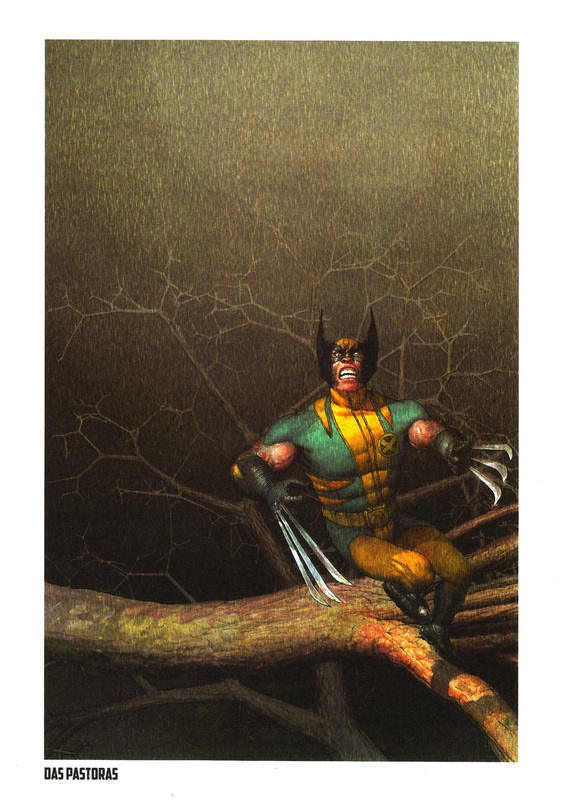 Die-hard Wolverine fans need not worry, there are some great images reproduced in this collection. 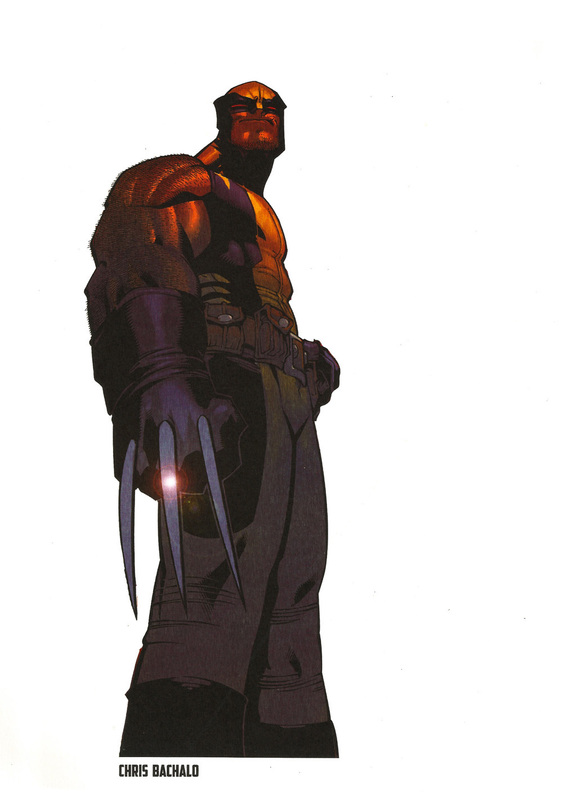 Olivier Coipel’s brooding Logan (which is printed on the tin plate) sets the tone perfectly, as does Chris Bachalo’s mean and moody depiction of the mutant superstar, adamantium claws at the ready. 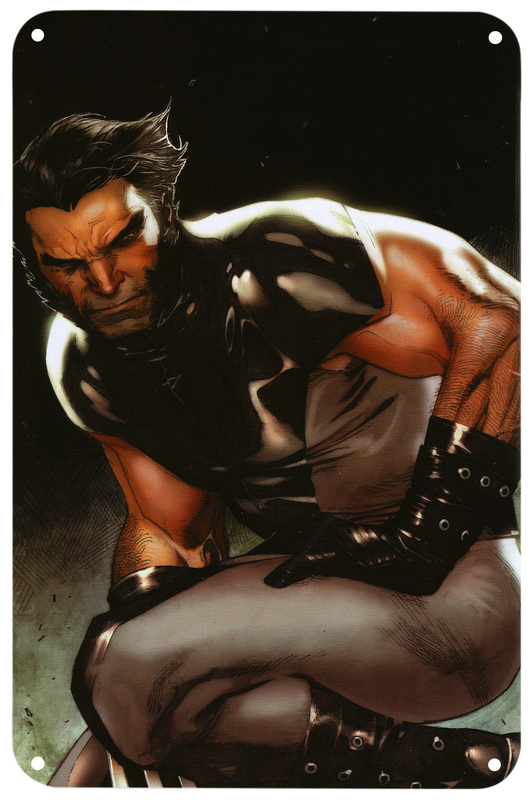 Jerome Opena and Esad Ribic’s action packed reprints are also welcome additions as is Jimmy Cheung’s rendition of an battle-ready Wolverine – probably my favourite image from the collection. 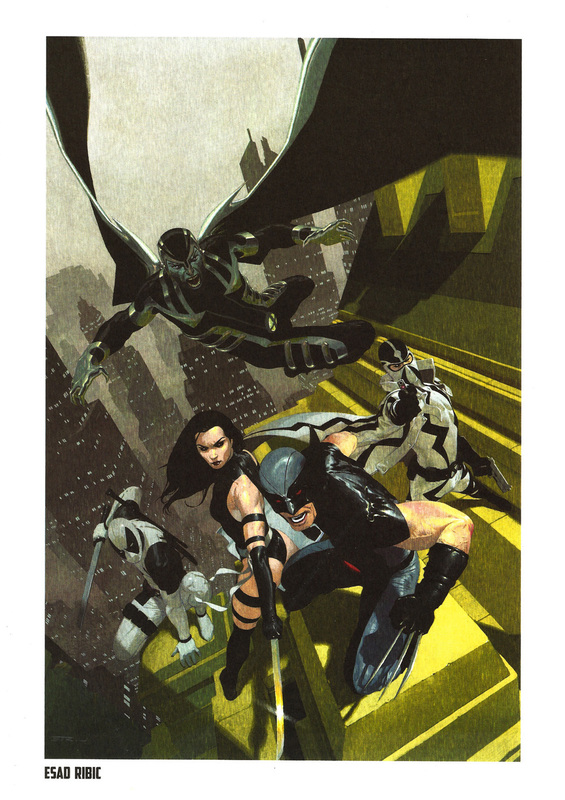 As with the other portfolios in this series the print and reproduction quality is top-notch. 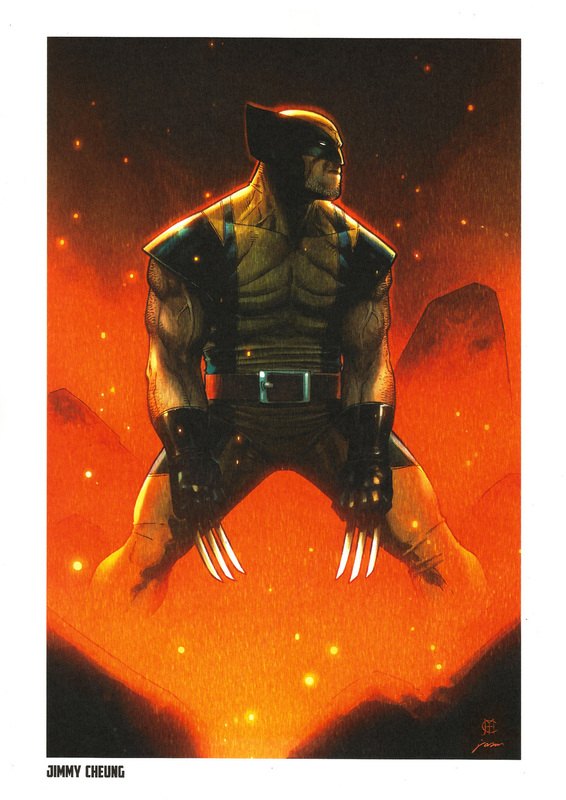 The nine A4 plates are printed on heavy watercolour stock that really allows the artwork and colours to pop, and the print quality of the tin plate and the outer box is also superb. I’ve mentioned this in my other reviews, but it bears repeating: Semic are to be congratulated for shipping these portfolios in study tin boxes, they really help make them feel like collector’s items. 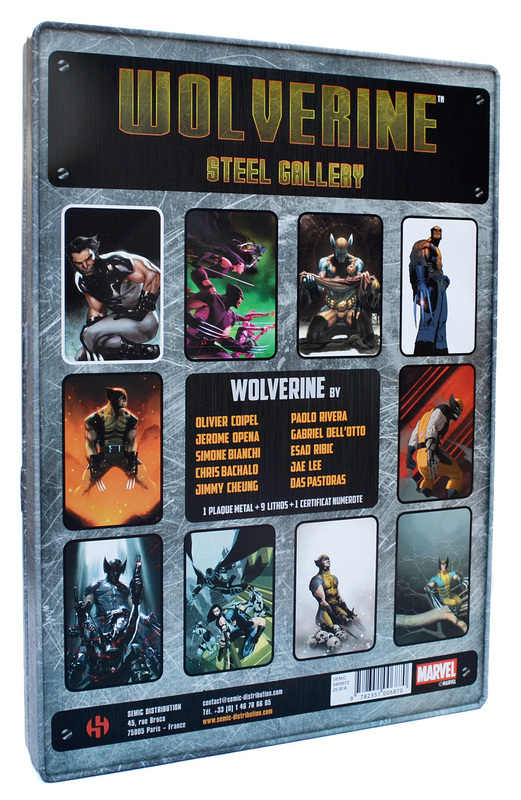 The Wolverine Steel Gallery Portfolio is a welcome addition to any fans collection and even though this is the last portfolio is the current Steel Gallery series, I’m hoping it won’t be the last portfolio released by Semic. More please!